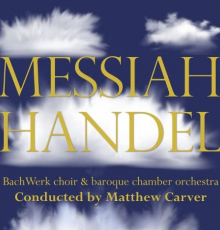 Composed in 1741, Messiah is Handel’s best known and loved piece of choral music (particularly the Hallelujah chorus). An example of English Oratorio, and still with plenty of drama, it is viewed as contemplative for Handel. Messiah narrates first the prophecies, then the story of the birth of Christ, and finally the Passion of Christ.